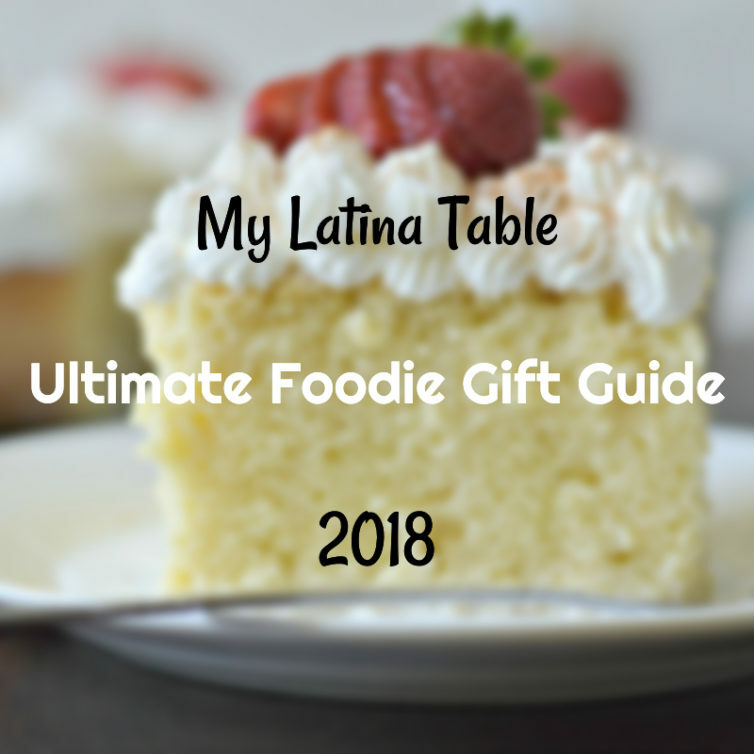 Inside: If you are looking for a great gift for that special “foodie” in your life, keep reading to find a great list of gifts that they will love! This post is sponsored by one or more of the featured companies. All opinions are my own. This really is the most wonderful time of the year! There is just a different feeling in the air, and I look forward to it every year. One of my favorite parts of this season is being able to buy presents for the people that I love. There is nothing like seeing the look on their face when they open a present that they were hoping for or even one that they hadn’t thought of! This year, I have been working on a gift guide that is perfect for those of you that have a “foodie” in your life. You will find a wide variety of products in different price ranges. I hope that you can find something that catches your eye! Without further ado, here is the list! I am including ten of my top picks with a short description, followed by an additional list of honorable mentions. Enjoy! I love Nielsen-Massey Vanillas! They have many different varieties, and you can just tell that they are high-quality. This time of year, many different recipes call for flavor extracts, such as peppermint, vanilla, and almond. For example, this capirotada recipe uses Nielsen-Massey’s Mexican Pure Vanilla Extract. 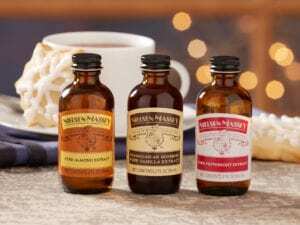 Nielsen-Massey uses a proprietary cold extraction process instead of heat extraction to preserve the 300+ delicate flavor compounds present in vanilla beans, giving Nielsen-Massey extracts a rich, complex flavor profile. You can definitely taste the difference when using these products. You can buy this bundle now by following this link. I bought my husband a Traeger Texas Elite 34 pellet smoker for his birthday this year, and we could not be happier. It has tons of capacity for burgers, ribs, chicken, and more. We have even made nachos and pizza on it! One of our favorites, however, was the brisket that my husband made. Check out the recipe here. This is a great option for your foodie friend or family member (and you will reap the benefits as well)! Check out their full line of smokers here. Have a foodie friend that loves meat? A ButcherBox subscription might be the perfect option this year. 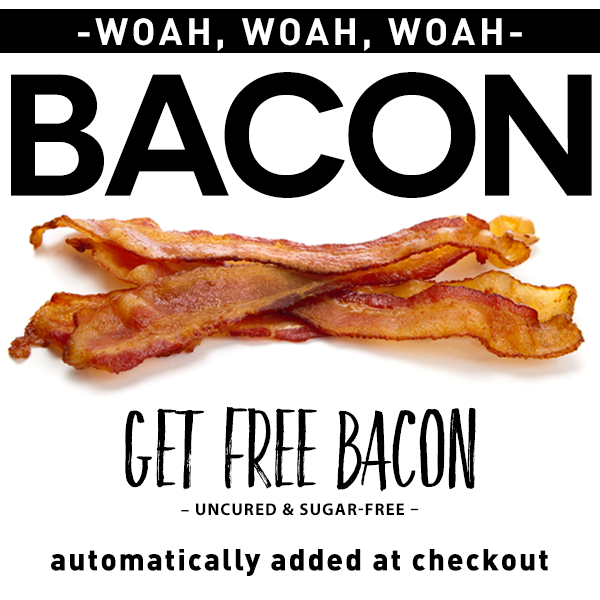 You can customize the types of grass-fed, delicious meat that he or she will receive and if you use any of the links in this section, you can get free bacon added on each delivery for the life of the subscription! Vegetarian foodie friend? Check out these SmoothieBoxes. Every foodie needs a good blender, and no one makes them better than Blendtec. We got the 725 series a little over a year ago and it has been amazing. It is easy to use and makes perfect smoothies, salsas, and more. Check it out by clicking on the image above or on this link. The Instant Pot has been one of the most popular kitchen items for the past couple of years. I don’t have one yet, but I hope to get one soon (hint, hint). I know a lot of people that have this and they rave about how versatile and easy to use it is. If you are looking for a sure way to please your foodie family member, buy this now. Another great option is to get your foodie friend a new slow cooker. There are so many different types now, but to be honest, I think I will always prefer the manual dial version. I have seen some newer ones with fancy buttons, but if you read the reviews the extra technology isn’t always as effective as you would think. I have always used the one with the manual dial, and it works year after year. Check it out here. Knives are one of the most important and used tools in the kitchen. Every foodie could use a new set. You will find sets at many different prices. You don’t have to get the most expensive, but you should get a set that is high quality. Here is one that caught my eye this year. I use mixing bowls pretty much every day in my kitchen. For me, having high-quality mixing bowls with lids is essential. Having the lids makes it super easy to store leftovers and extra batter. Check out a great option here. Here is another popular item that I haven’t quite pulled the trigger on yet. Enjoy all of your favorite fried foods without the oil. I’m a foodie, and I would like this, so I bet your foodie friends and family members would too! Without a doubt, every foodie needs a stand mixer. The gold standard for stand mixers has been the KitchenAid, but there are many other more affordable options as well. I personally have and love my KitchenAid, and you can find that here. However, if you are looking for a more affordable option, the CHEFTRONIC line looks pretty great too! I hope that at least one of these ideas sticks out to you for a present to buy for your foodie friend or family member this year. Let me know if you have any other great ideas in the comments below!